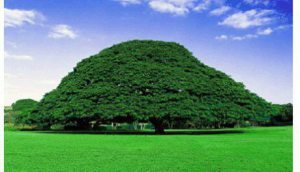 Olympic silver medalist Feyisa Lilesa (Fayyisaa Leellisaa) finished fourth in his first debut after Rio Olympic protest. He clocked 2:15:57 in Honolulu men’s marathon, December 11, 2016. 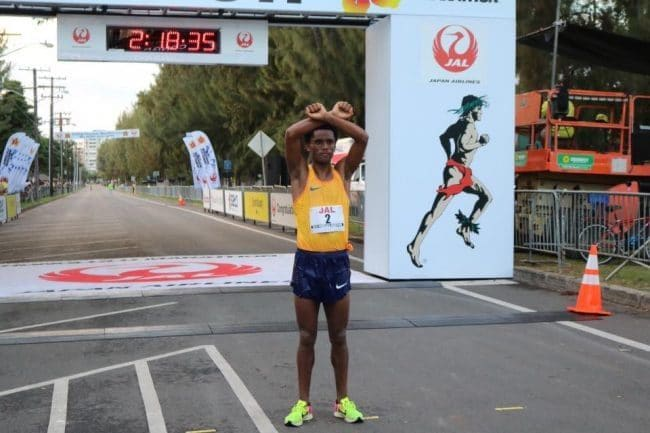 Feyisa walked the last 100 meters with his famous hands in ‘X’ in silent protest. His compatriot Oromo athlete Deribe Roba finished third clocking 2:13:43. Lawrence Cherono set a course record of 2:09:39 to win ahead of fellow Kenyan Wilson Chebet (2:10:48), who was also under the previous course record. Kenya’s Brigid Kosgei won the women’s race in 2:31:11 ahead of American Lindsey Scherf (2:34:05) and pre-race favourite Oromo athlete Buzunesh Deba from Ethiopia (2:35:34).